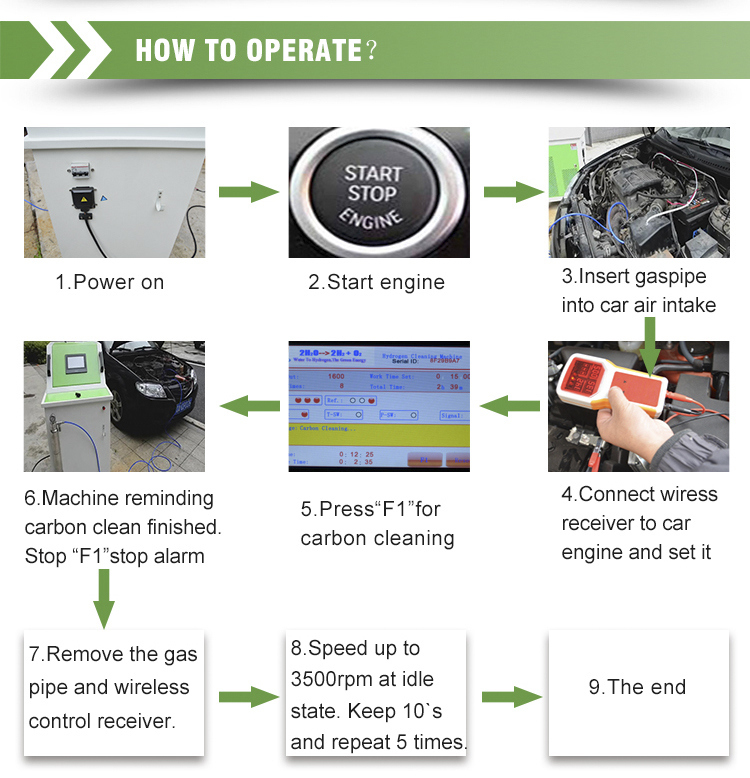 4. removeÂ the accumulated carbonÂ and increasing the combustion efficiency of the existing fuel. 5.Â draining from exhaust pipe. No need to remove engine, No harm toÂ engine and human and environment. Save much cost. OurÂ Oxyhydrogen Generator is equipped with wheels for convinience. NoÂ need to disassembleÂ engine and engine oil filter element. 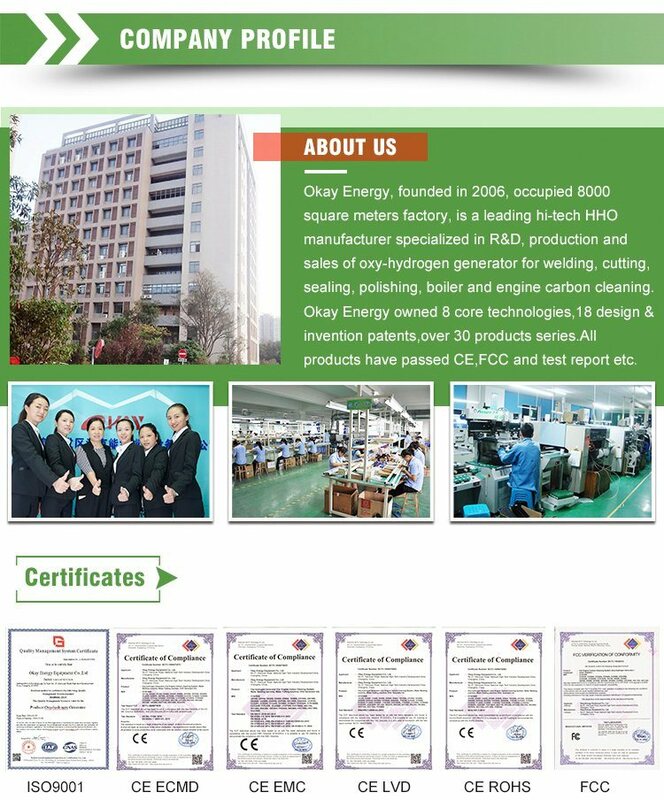 Oxy-hydrogen carbon cleaning is full automatically process. The machine will remind and stop gas production when carbon cleaning finished. Working time onlyÂ 15 mins. 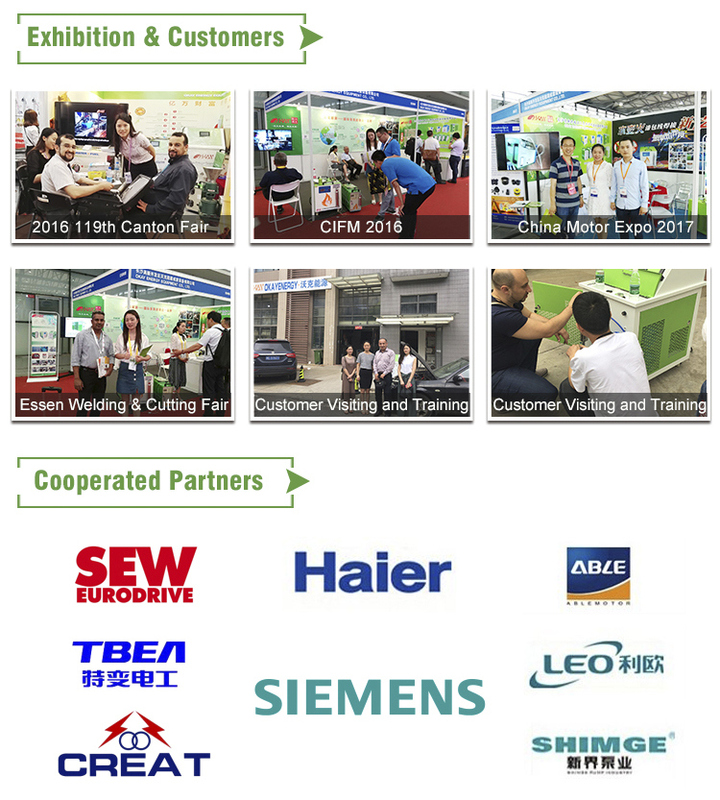 Energy Saving more than 30% compared with traditional carbon reducing methods. 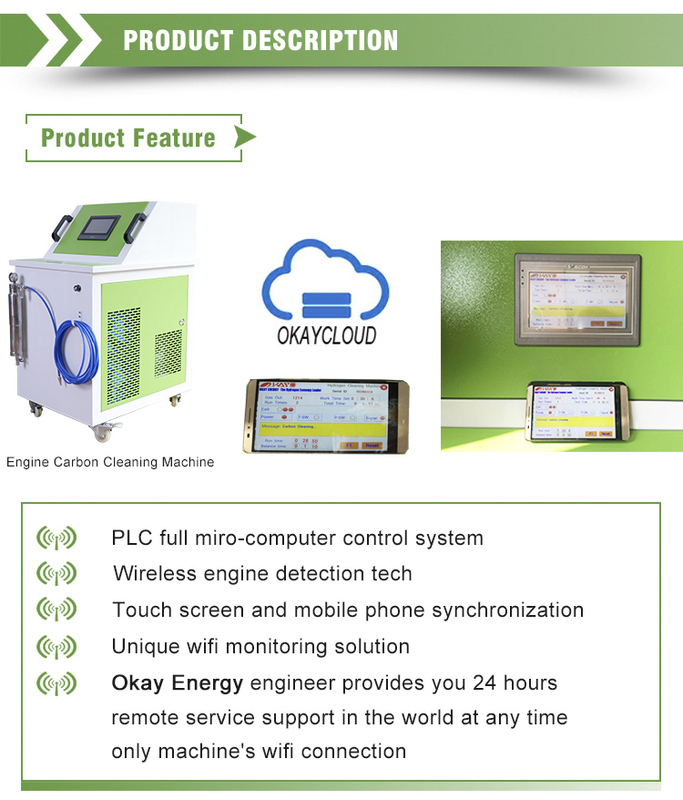 Conclusion:After using OKAY oxyhydrogen gas car engine carbon cleaning machine,carbon build-up is completely cleaned away,engine efficiency is increased,power and performance are restored,life expectancy is improved and engine emissions are reduced. The accelerator becomes lightÂ horsepower is increased. 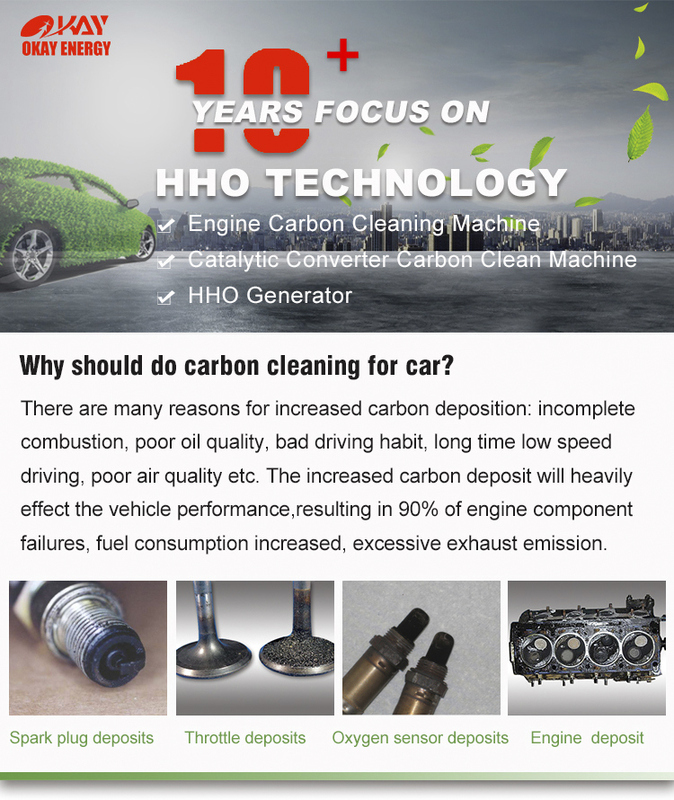 Q1.Â WhyÂ IÂ needÂ toÂ carbon-cleanÂ myÂ car? A1:IncompleteÂ combustionÂ causesÂ carbonÂ depositsÂ inÂ yourÂ vehicleÂ engine.Â The carbon isÂ oneÂ of reasons of highÂ fuelÂ consumption,Â poorÂ engineÂ performanceÂ andÂ increaseÂ exhaustÂ emissions. Q2.Â WhatÂ typeÂ ofÂ carÂ canÂ useÂ yourÂ service? A2:AllÂ petrol,Â dieselÂ orÂ LPGÂ vehiclesÂ belowÂ 3000ccÂ canÂ use CCS1500 model.For larger engine above 3000CC,we suggest CCS3000,CCS5500. Q3.Â WillÂ yourÂ serviceÂ harmÂ myÂ carÂ engine? A3:AbsolutelyÂ not.OurÂ serviceÂ hadÂ beenÂ testedÂ andÂ provenÂ effectiveÂ byÂ TUVÂ Singapore.Â Furthermore,Â itÂ isÂ beingÂ backedÂ byÂ aÂ US$1millionÂ "ProductÂ LiabilityÂ Insurance." hhoÂ generatorÂ forÂ moreÂ than 10 years. 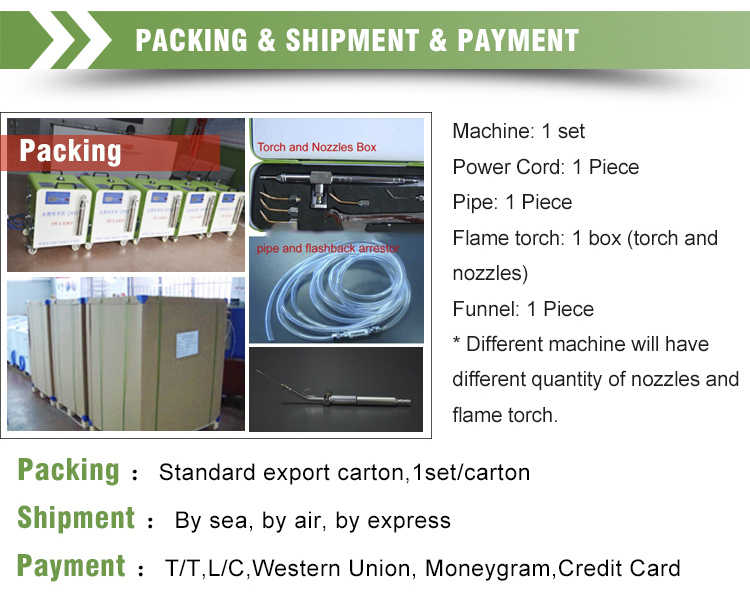 CleaningÂ Machine,HHOÂ weldingÂ Machine, ampoule sealing machine,hho boiler for heating etc. Welcome contact us if you still have any other question!